On an overcast day, the opportunity for above average photography actually rises. Say what? 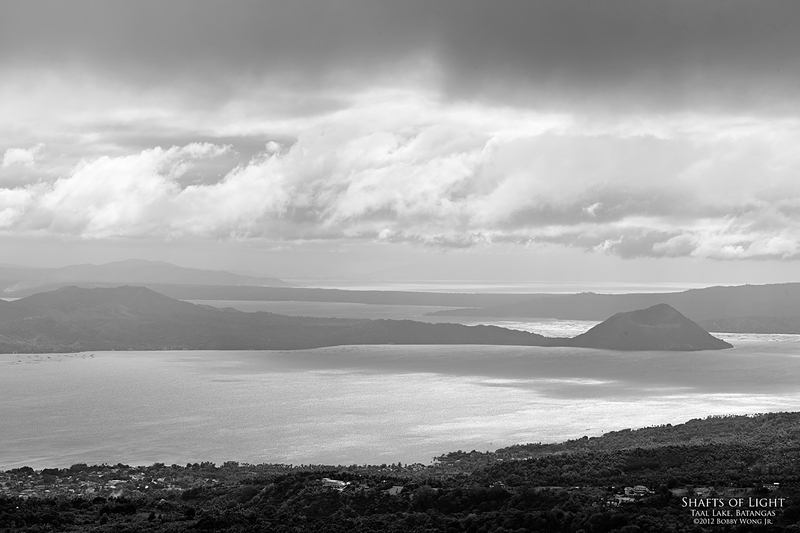 We were on the Tagaytay rim on a cloud-filled day that drizzled on and off. It wasn't the best time for sight-seeing as the fog obscured the landscape and dark clouds above kept the sun from shining through. But in a place where the wind was always on the move, the light can change very quickly. I spotted a moving splotch of light on the lake and immediately pulled-over to wait it out. Eventually, the clouds thinned-out to allow shafts of sunlight to punch through. The result was Taal Lake lit in a most unusual manner. Enjoy.